Hello. I hope you are all enjoying your weekend! I just have two links for you today, but they are both awesome. I LOVE this kitchen from Lucy Interior Design. 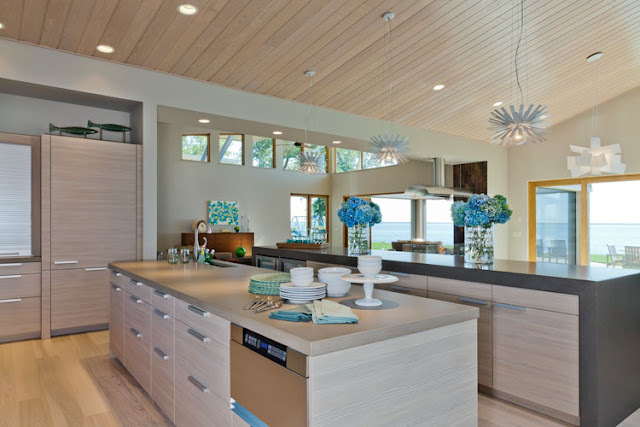 It recently won Best in Show at the ASID MN Awards 2011. The countertops are CaesarStone colors Lagos Blue and Mocha. Marbelous Wood Floors on Apartment Therapy. 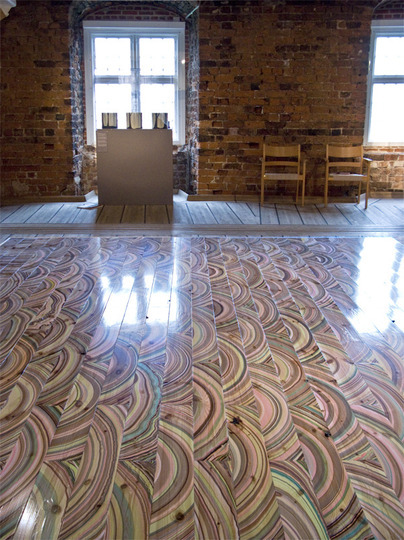 These floors are so amazing!